Hi there, I am enjoying your site. I never even knew Anguilla existed prior to reading about it on your site. I came across this because I am putting together my own site through SBI, very soon, and was referred to your site while reading the eBook. My question / request, since youare now living in Anguilla......after reading your site I may wish to live there at some point. I live in California and want to move out of the country, had considered Costa Rica, Belize, but now Anguilla might be an option. Could you maybe create a link Living in Anguilla and talk about moving there. Paperwork, laws, becoming a resident, working there, banking, bringing pets, cost of living, etc etc. I can't really find the info I'm looking for on google anywhere. I think this would be a good addition to your site. Update! My dad has added a page about living in Anguilla. 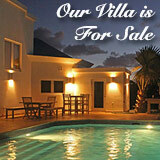 If anyone has questions about moving or living in Anguilla, please see that page and ask any questions over there. hi, i work in anguilla and and i want to know if its possible to bring my children here to stay with me? Hello - thank you for putting together such an informative, easy to use and fun website. It looks like my company is moving me and my family to Anguilla for a minimum 2 year term. I was hoping you could provide some feedback, ideas, suggestions, etc on long-term rentals. 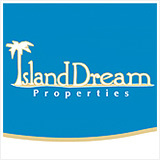 As expected almost all the sites I have been researching are predominently vacation rentals. Any other information you can throw in to a young family moving from Miami would be greatly appreciated. I have an Apartment building in anguilla in Mount fortune can you help me rent these apartments out on a day ,weekly or monthly . One bedroom fully furnished new building without the usual insanity. Nori, Your website looks great. It's so thorough & easy to navigate. I have been a subscriber of yours for many years and it's great to see the development of it. We love Anguilla, been going since 2003 every year, at least once a year. We even got married there - I should send you a story about that. My dream is to move there with our toddler son. What would I do there for work? I'm a fashion designer in NYC, my husband is an architect. 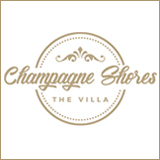 Do you think the island needs a fabulous bikini/resort store for the tourists? Love to have your input. 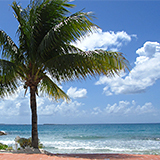 Have fun in St. Barth's - we love it there, too- but not as much as Anguilla. Nori's Reply: Thank you so much for your kind words, Kathi. You got married on Anguilla? I would love to hear your wedding story! Anguilla weddings sound magical. And you work in New York City? Wow! Yuki (my younger sister) is starting school there in the Fall. She got into F.I.T. I'm still waiting to hear back from schools, but with any luck we will be there together in September. Good news update! My dad has recently added a page about living in Anguilla. 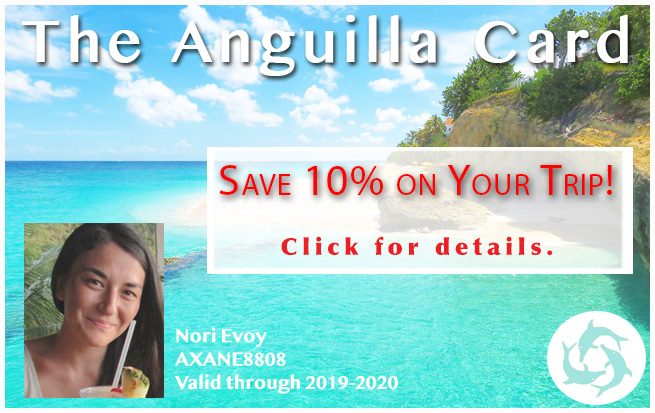 If you have questions about moving to Anguilla, please see that page. I am planning on attending St. James medical school in the next year and a half. I have a choice of Bonaire or Anguilla. Anguilla seems very beautiful and peaceful, away from all the tourists. But I do have a husband and children that will be coming with me. When we arrive, the oldest child will be 10 and the youngest 4. There are 5 children in our family. We will be moving from Arizona, United States of America. 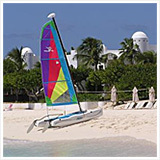 In your opinion as a local, would Anguilla be a good place for young children? They may all be attending school, so access to education is a factor. Plus is it easy to find things to do for children on your island - such as culture events, library, etc. I'm also worried about finding a home/villa that would accommodate our large family. My husband can work any where in the world, as long as he has a reliable internet connection. I haven't seen any good information about family life on the islands on the internet, except for your site (which is fabulous)! Any information would be very helpful. Nori's Reply: Candace, I would love to raise a family in Anguilla. The cultural events may not be what you are used to in the United States, you may have to supplement, but many American families I know with young children love watching them grow up in Anguilla and by the sea, in such a calm, warm environment. Education-wise, many families send their older children to private high schools in St. Maarten, and younger children to a rather new, more costly, elementary school in Anguilla. In terms of finding a home/villa, contacting our favorite Anguilla real estate agent Jackie Pascher would be the best solution. I am sure she will be able to find something to fit your needs. Best of luck with your studies and with your family. Anguilla is a magical place to live! Good news update! Since this was posted, my dad has added a page about living in Anguilla. 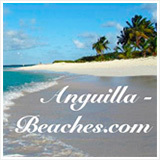 If you have questions about moving to Anguilla, please see that page. I'm a single Mother of 4 kids (6, 6, 10, 12) who also moved here from the US. I am Swiss and was born and raised in Switzerland but lived in the US for 16 years. I am an IT consultant and work from home, trvaeling to speak at conferences etc about 5 times a year. This is the part where we could have an 8 hour conversation about why to move here, how, what to consider, why not etc etc.... in short, Ken is right and Anguilla (and any place else) is what you make it. Those posts help a lot. As we are narrowing it down to Anguilla or St. kitts/Nevis. I actually have a good friend from college who grew up on St. Martin. 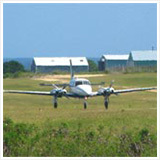 Do you know if Homeschooling is legal on Anguilla? I heard it was not on several islands. Again, thank you for your time and valuable information. Nori's dad here (AKA "Dad"). I used to teach and practice Emergency Medicine at McGill University in Montreal. Good luck to you as you embark on an exciting journey. The question you ask is complex, but the answer is simple. Anguilla is what you make of it. Make friends of everyone, locals and ex-pats. Your young kids will do that just naturally. 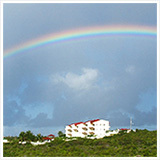 There are two good private schools in Sint Maarten. Yuki took the school boat every day. But there's also at least two good schools in Anguilla, Omolulu and Central Baptist (perhaps someone else will read this and fill in details). Things to do? No opera. Library's on the Web (there is a small one on the island). But sailing, tennis, cricket and loads of other stuff to do for the children. Right now, you're in luck with accommodations. As long as you don't want to be on the sea, there are many good-sized accommodations for rent. Negotiate, it's a renter's/buyer's market. Classifieds in the Anguillian will turn you onto some very reasonable places. If you're looking higher-end, follow Nori's advice about contacting Jackie. Bottom line? Family life in Anguilla is wonderful. Enjoy. I'm helping my daughter find Anguilla accommodations. She is working on her master's degree in public health at Simon Fraser University with a focus on global health. Her placement in Anguilla is a volunteer position with the World Health Organization. She's not on vacation. She is looking for reasonably priced Anguilla accommodations. If you can help in any way, with a lead, or an introduction to someone who can help we would be most appreciative. Thank you! Nori's Reply: Thank you Mike for your question, and a huge congratulations to you and to your daughter! That is quite an accomplishment. What will she be doing with the WHO in Anguilla? My best recommendation is to find someone leasing Anguilla apartments. 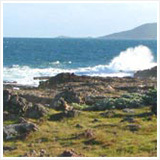 They are usually inland, not by the sea, nicely furnished, and extremely well priced. My best recommendation in terms of Anguilla apartments, are Klasher Apartments, owned by a friend in Anguilla. 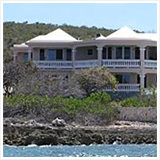 You can see these Anguilla apartments by clicking here. The units are clean and near the Valley. Best of luck to your daughter! I'm sure she will love her time in Anguilla! Thanks to a friendly and helpful real estate agent, Jackie Pascher, I've been able to secure accomodations for my daughter. Everyone I contacted was very happy to help in any way they could. Must be something in the air down there! Anyway, my daughter is working on her Masters degree in public health and will be assisting with local health care delivery programs. She's really looking forward to it. Thanks again everyone.